WASHINGTON (Reuters) - A group of eight Democratic U.S. senators and independent Senator Bernie Sanders urged the Justice Department and Federal Communications Commission on Tuesday to reject a proposed $26 billion merger of T-Mobile US Inc and Sprint Corp. The merger is "likely to raise prices for consumers, harm workers, stifle competition, exacerbate the digital divide, and undermine innovation," they wrote in separate letters to FCC Chairman Ajit Pai and Makan Delrahim, the Justice Department's top antitrust official. The signatories included potential or confirmed presidential candidates Sanders, Amy Klobuchar, Sherrod Brown, Kirsten Gillibrand, Elizabeth Warren and Cory Booker. Also signing the letters were Senators Richard Blumenthal and Tom Udall. The companies did not immediately comment. A U.S. House panel is set to hold a hearing on the merger on Wednesday. 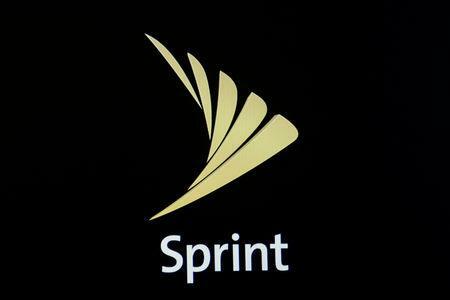 The senators noted the four largest wireless carriers including AT&T Inc and Verizon Communications Inc control 98 percent of the market. "Antitrust regulators around the world have consistently blocked four-to-three mergers in the mobile and telecommunications industry, and those who have allowed such mergers have lived to regret it," they wrote. Separately, T-Mobile Chief Executive Officer John Legere defended the merger in written testimony released on Tuesday, ahead of a House Energy and Commerce Committee panel hearing on Wednesday. He said the company does not "use Huawei or ZTE network equipment in any area of our network" and will "never" use equipment from the Chinese firms in the next-generation high-speed 5G network. U.S. national security officials have said both ZTE and Huawei raise concerns. The Trump administration is preparing an executive order, that could be released as soon as this month, that would allow the Commerce Department to bar U.S. companies from using telecommunications equipment made by Huawei, ZTE or other companies deemed to pose national security risks. 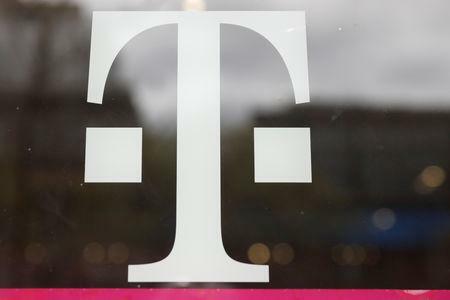 Legere said the merger would lead to lower prices and more U.S. jobs. Opponents argue the combined entity would likely raise prices, cut costs and harm rural consumers. Legere's testimony says the combined firm's business plan projects "aggressive share increases – taken from the industry leaders AT&T and Verizon – through its accelerated, enhanced 5G deployment." He said the company planned to "keep the customers we’ve fought hard to win and win new customers with great quality, lower prices, and more innovative offerings." Sprint Executive Chairman Marcelo Claure will tell the panel that the combined firm's improved network "will be able to compete for customers who have been reluctant to use Sprint or T-Mobile because of concerns that the quality of their individual networks is not as good as those offered by Verizon or AT&T." The companies announced the merger in April 2018 after their a first round of merger talks ended in 2014 when President Barack Obama’s administration expressed antitrust concerns. In the current review, Legere said the companies had turned over 25 million pages of documents to regulators. "It has been a long road," Legere said.